Extinguisher training plays a crucial role in preparing you for the worst! 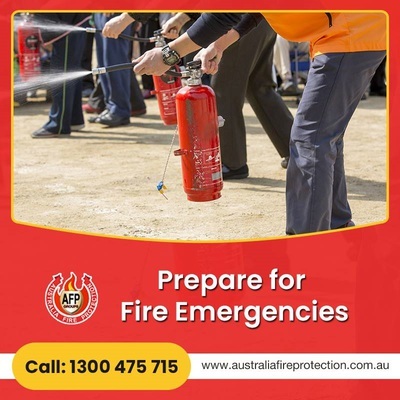 AFP group provides a professional and effective extinguisher training program. Our comprehensive program consists of training like how to handle extinguisher, how to use it effectively to control the fire and so on. To learn more about our fire training programs, visit our website: https://www.australiafireprotection.com.au/fire-safety-training or call 1300 475 715 talk to our experts.